If you follow us on Facebook or Instagram, you've been seeing TONS of sneak peeks of the amazing weddings we've had this fall! 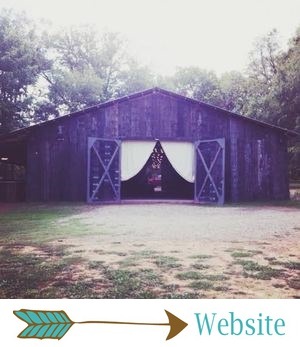 It has truly been an unforgettable fall at The Barn; we've had several gorgeous, unique weddings, with so many crazy amazing details! It's been a little intense at times - we even had three weddings in one weekend, which was totally insane. But we've loved each of these amazing couples and their unique ideas for their weddings! A few of our fall 2016 couples have already been featured on the blog, and you'll see the rest as we get their wedding photos back! Here's a quick recap of just some of the pretty that's happened at The Barn this fall. The next several weddings on the blog are going to be SUPER pretty as we get to start featuring more of these! Umm, Reagan was probably the most gorgeous bride EVER. This lady married Juan just a few weeks ago, and holy cow, their wedding was pretty! Can't wait to show you their altar and all the delicious, rich colored florals! Reagan's stunning flower crown was just the icing on the cake! 2016 was the year of amazing altars! Alex + Zach's was so unique and soooo pretty! Their entire wedding was gorgeous, from the bright florals to Alex's stunning bridal gown and the flower petal exit. We also LOVED the super traditional bridal bouquet and wedding cake. So much to love about this one! Mandy + Matt came all the way from ALASKA for their pretty rustic chic wedding! It was a beautiful day - we loved their pale color palette, all the Alaskan details, fox tails (!!! ), and every little thing in between! This altar situation happened just this past weekend, and we aren't one bit mad about it. In fact, we are still SWOONING and will be for a long time. This couple's color scheme included a lot of blue, but their ceremony details were elegant and white. Dreamy! Elopements are always THE BEST, and Pam + Scott's was totally fabulous! Their color palette was full of purple and turquoise, and their theme was bohemian and just amazing!!! We can't wait to show you their altar, their aisle, and their cake... and literally every other detail of their day. This one was GOOD. Another one of our amazing altars from this fall! Maudie + Matt's day was full of glam purple details. If you think this altar is wonderful, wait until you see their cake! We cannot wait to share this one in all its purple glory!